The Gardens and modern day Lough Key Forest Park were formerly part of the 800 acre Rockingham estate which served as the seat of the Stafford-King-Harman family. 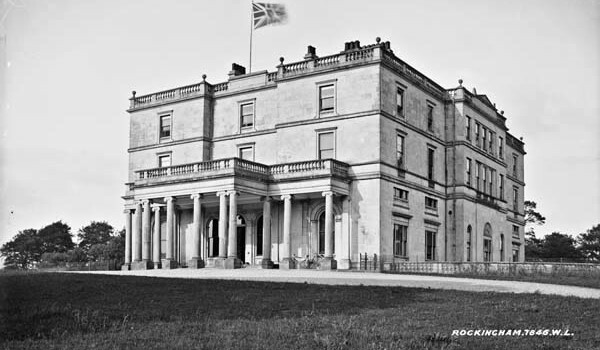 Rockingham House stood as a centre piece to the estate overlooking Lough Key and was built for the King family circa 1810-1815. However the estate's beginnings substantially predate this period. The site on which the Gardens exists was formerly the Walled Garden which served the King's estate. The surrounding walls of the Walled Gardens are still almost completely intact. 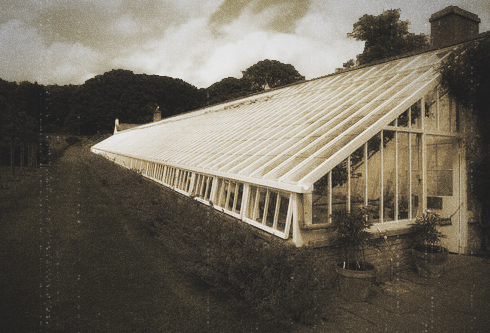 Contained within were the Greenhouses which together with the extensive garden supplied the estate with fruit and vegetables as well as housing a nursery which provided most of the sapplings required to maintain the grounds of the estate. 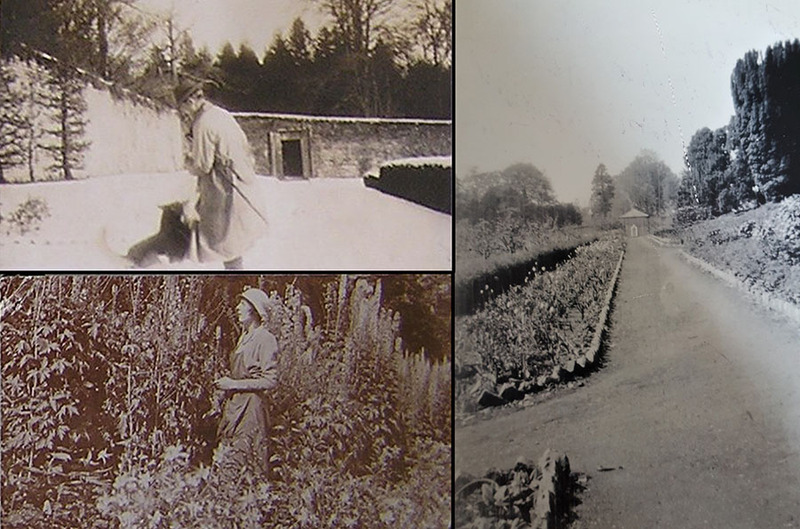 The configuration of the Walled Garden would have been very similar in construction and layout to those of Strokestown House. The workers resided in the newly renovated houses which adjoin the northern perimeter wall. Visible still is the furnace which heated the long Victorian lean-to greenhouses through a network of brick heating ducts contained within the wall. "The Rockingham Estate is mentioned in the Annals of Kilronan as early as the year 1235. The MacDermotts had then ruled Moylurg for centuries and in 1578 a fine house was built by Brian Og MacDermott on the site where the Moylurg Tower now stands. The reign of Elizabeth 1st ensured that all Irish titles were abolished in 1585, by the Composition of Connaught and Irish Chiefs were forced to forfeit there lands to the Crown to be held by English Tenure." "The grand MacDermott house was demolished by Sir John King, an Elizabethan settler and active Cromwellian, when he inherited the lands from his grandfather who was granted the estate by James 1st, King of England, Scotland and France in 1617. He aspired to build a "great castle" in Boyle town in 1707 when the population amounted to just 300, of which 30 were English tradesmen. However, this grand house, now the refurbished King House, was simply a showpiece, the family preferred to live outside the town in a residence named Kingston Lodge, standing in the splendid Rockingham Estate on the shores of Lough Key. The King family enjoyed a quiet country life of equestrian sport and fishing and the house burnt down accidentially some years later." "In 1809 Robert King 1st (Viscount Lorton) commissioned the famous architect John Nash to design a house for him in Rockingham. This was a Regency mansion built with a dome and semi-circular Ionic colonade fashionable of the times. Lord Lorton continued to improve the demense by the addition of a boundary wall 20 miles long; the renovation of farm buildings, the planting of trees and the erection of several jetties on the shore of Lough Key." John Nash was a renowned architect of his era and was commissioned for some famously known works including the conservatory at Kew Gardens (London), Regents Street and Regents Park (London), East Cowes Castle (Residence - Isle Of Wight), The Royal Pavilion (Brighton), Buckingham Palace East Front (London - since redesigned) and Travalgar Square (London - since redesigned) to name just a few. In 1806 Nash was appointed architect to the Surveyor General of Woods, Forests, Parks, and Chases. It was during this period he was commissioned to design the Rockingham House and some of the external fixture which are still visible today, notably the Fairy Bridge. The house was destroyed in a fire that started in the evening of 10th September 1957 and raged on through the night with the last flames dying out some 24 hours later . The ruins of the house were later demolished in 1971. "Imagine a garden where a knock on the big wooden entrance means all the gardeners must disappear - because the owners want to stroll around without the "eyesore" of the people who do all the work. And imagine having 15 gardeners to grow your cut flowers, fruit and vegetables and maintain a six-acre walled pleasure garden full of exotic species from around the world" - The Irish Times.